What’s Up With the Challenge? – Start R.I.G.H.T. What’s Up With the Challenge? The 2017 Start R.I.G.H.T. Challenge is set for January 21st! Find out all that you need to know to sign up and enter to win! This year’s Start R.I.G.H.T. 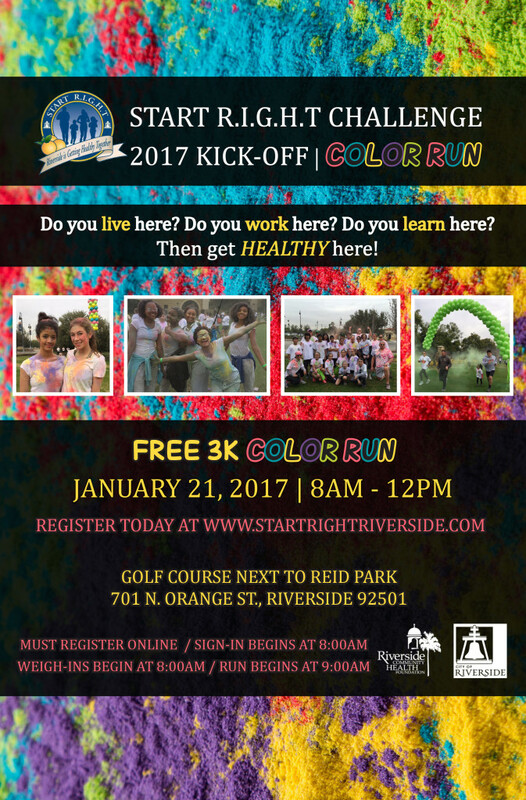 Challenge will kickoff with a celebration at the Golf Course next to Reid Park in Riverside from 8 am to 12 pm on January 21, 2017! This is a time for you to get your initial screenings and check-in numbers taken care of. We’ll also give you your “My Passport” application in paper, in case you are unable to track online, so you can track the activities you partake in during the challenge. The event will include workout demos, information on healthy eating, and other information to help your Challenge be successful! You can find the “My Passport” application under “The Challenge” tab on the home page of this website. The application will officially open for registration as of January 21, 2017. You can go ahead and set up your account before the Challenge kickoff and then enter your numbers later. To enter, visit the My Passport Page. 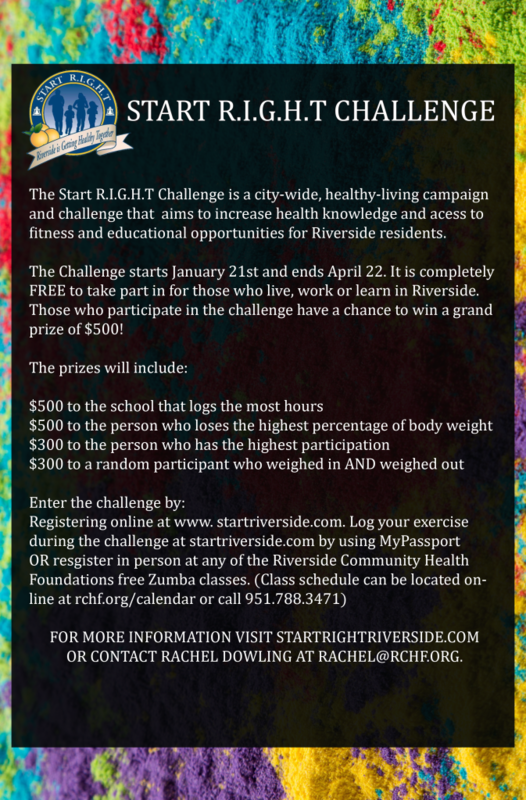 While we do encourage everyone to participate and join the Challenge at anytime, only those with an official weigh-in and weigh-out and who have entered the Challenge by Saturday, April 22 are eligible to win the cash prize. What if I can’t make the kickoff to weigh-in? If you can’t make the kickoff event, but still want to be in the challenge don’t worry! We can schedule a weigh-in appointment for you prior to the event or the week following. To set up an appointment call 951.788.3471 and ask for Rachel or e-mail rachel@rchf.org. This year we’ve added a challenge for schools (18 and under) to join the fun! However, this is not focused on weight loss, but rather activity time and reducing consumption of sugary drinks. They can track their progress under the modified “My Passport” application. They will have the chance to win separate prizes, but are not eligible for the grand prize of $500.